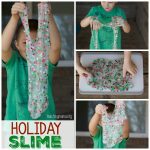 Do your kids love slime as much as mine do?! 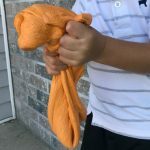 I always have slime supplies on hand because my kids and their friends love to make it! 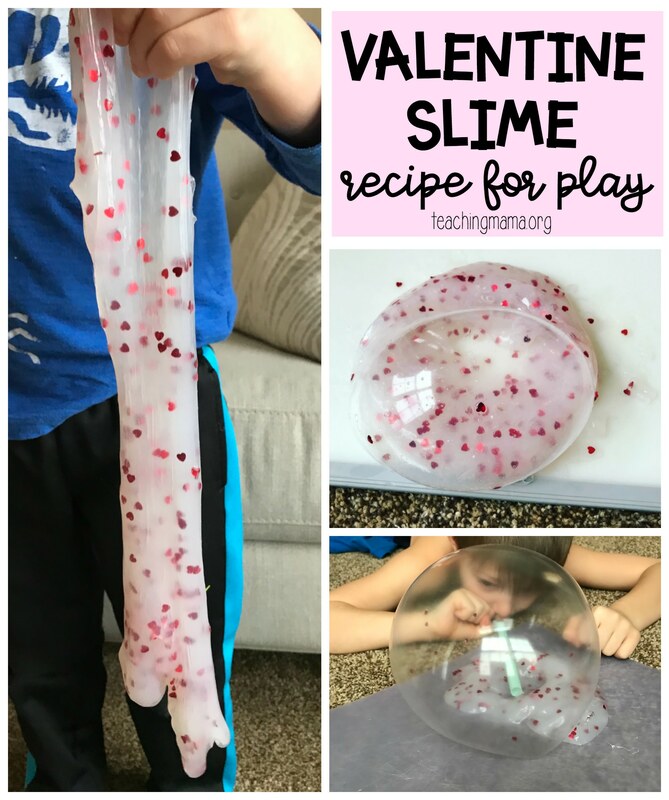 Today I’m sharing the best valentine slime recipe. 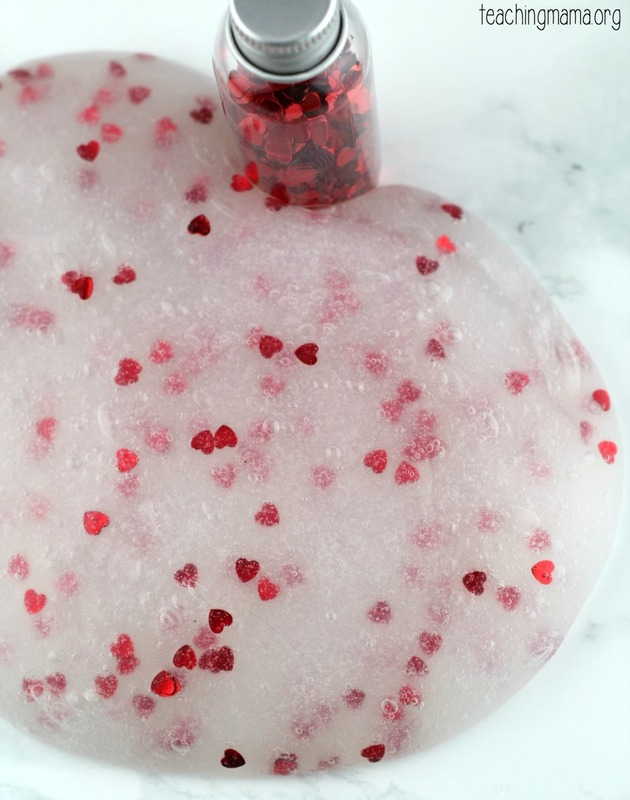 I say it’s for Valentine’s Day (only because I used heart confetti! ), but you could make this any time of the year! 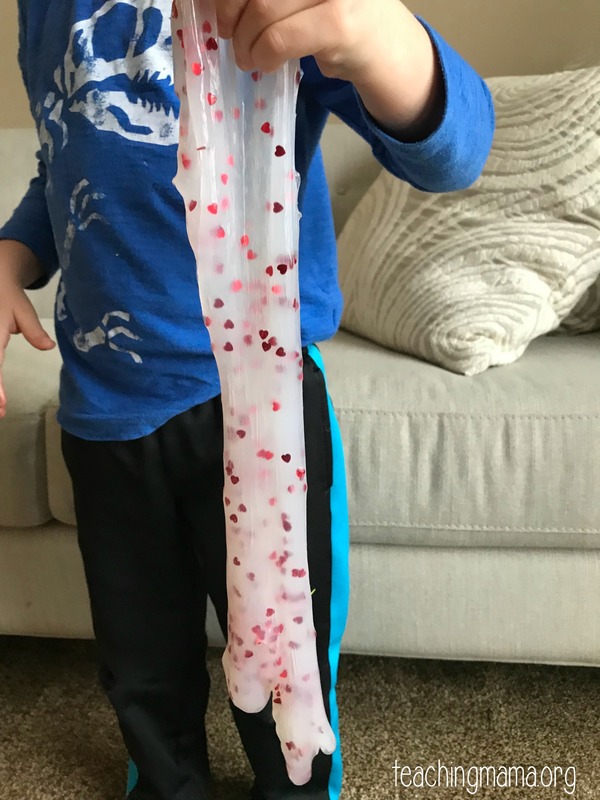 If you want to see how I made this slime in action, check out this video below! Begin by mixing the 1/2 cup glue with the 1/2 cup water in a bowl. Add in the sequins or glitter. Then pour in 1/2 cup Sta Flo liquid starch, while stirring. 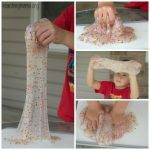 It will form to a slime, but it will be extra slimy and gooey. Don’t worry! It will still turn out! 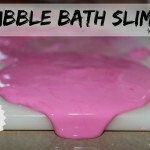 Transfer the slime to a mat and knead for a few minutes. You can also let it sit for a couple minutes before kneading it. Eventually, it will be silky, stretchy, and a great consistency! 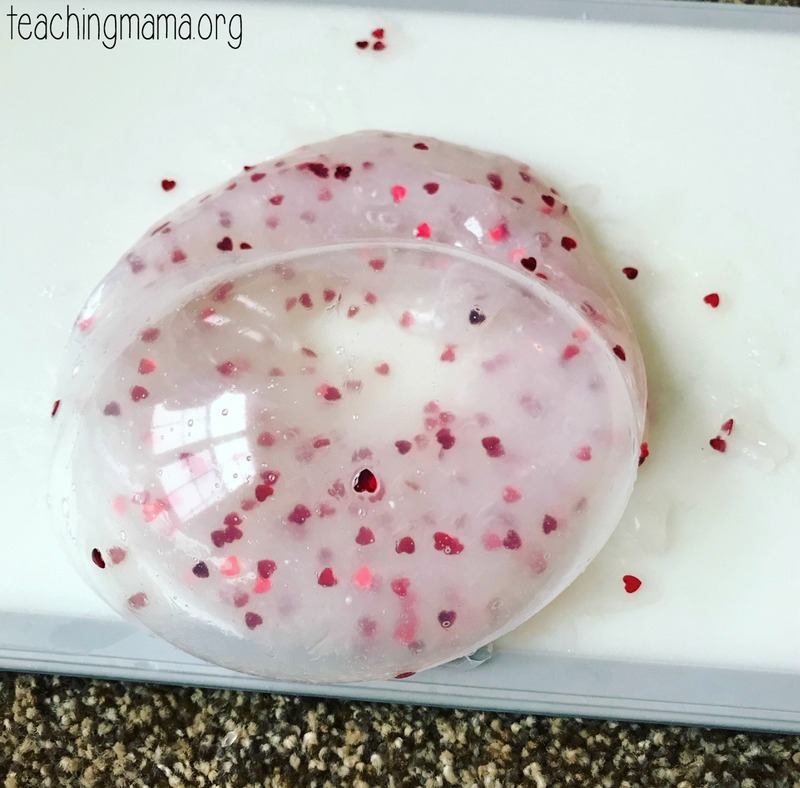 I tried several ways of making this slime (including using contact solution instead of Sta Flo), but this was the best recipe. 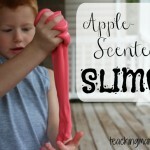 The slime lasted longer and was way more fun to play with. My 4-year-old definitely told me he liked this recipe the best! 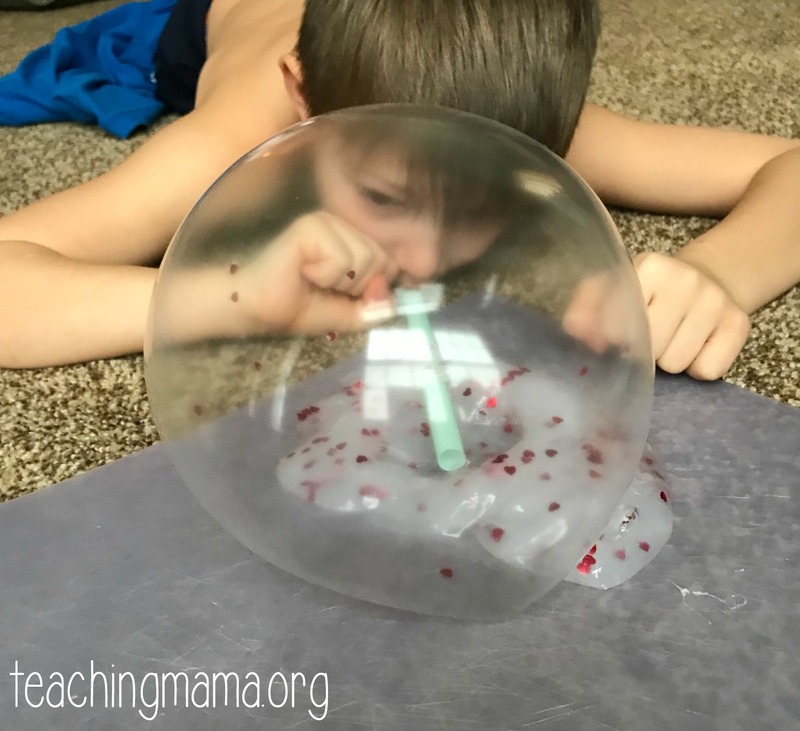 Not only is this just fun to play with in your hands, it’s also fun to blow bubbles with! Have you ever tried this before? You can do it two ways. First, you can use an air pump. 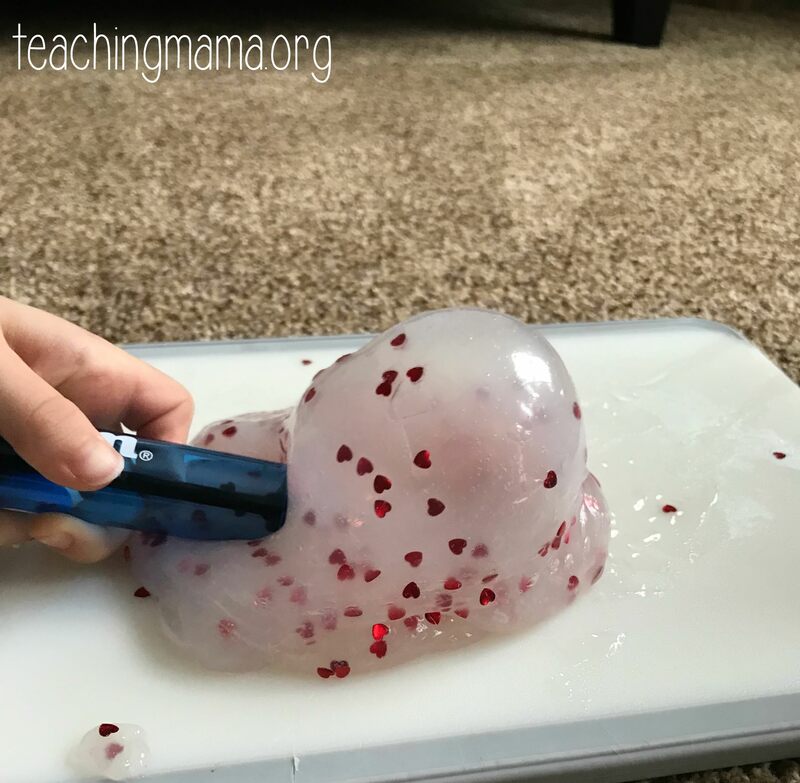 Just stick it inside the slime blob and then start pumping air. You may have to move the pump around if it doesn’t work. 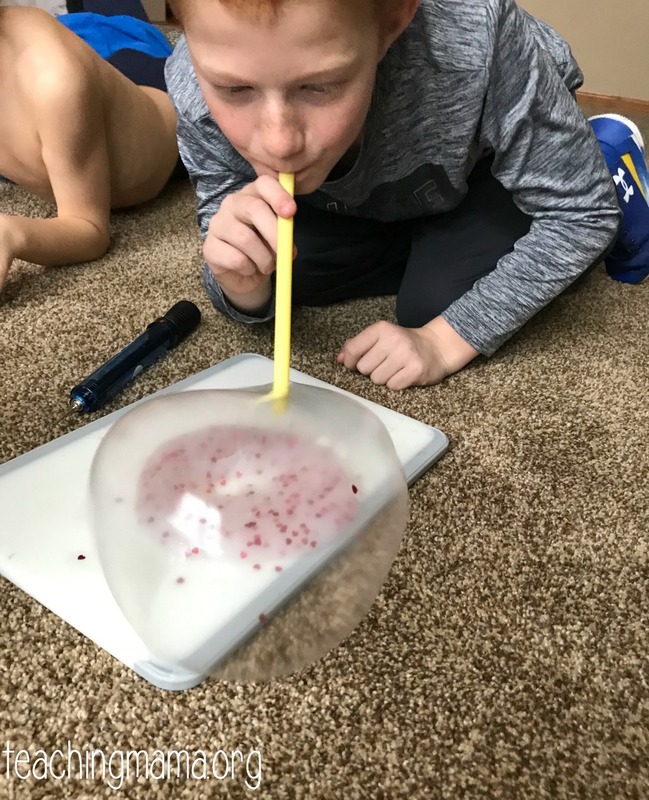 You can also stick a straw inside the slime and blow air. Both ways are fun! 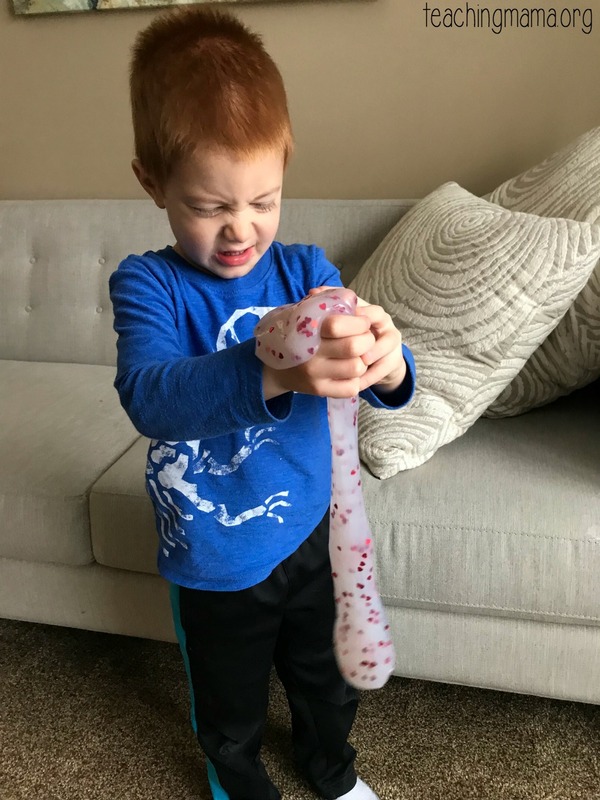 We really did have a ton of fun with this slime. You can store it in a Ziploc bag and play with it for a week or so. If you find that it feels different after storing it, just play with it for a few minutes and it will go back to the right consistency. Begin by mixing the 1/2 cup glue with the 1/2 cup water in a bowl. Add in the sequins or glitter. Pour in 1/2 cup Sta Flo liquid starch, while stirring. It will form to a slime, but it will be extra slimy and gooey. Don't worry! It will still turn out! After you're done playing, store in a Ziploc bag.